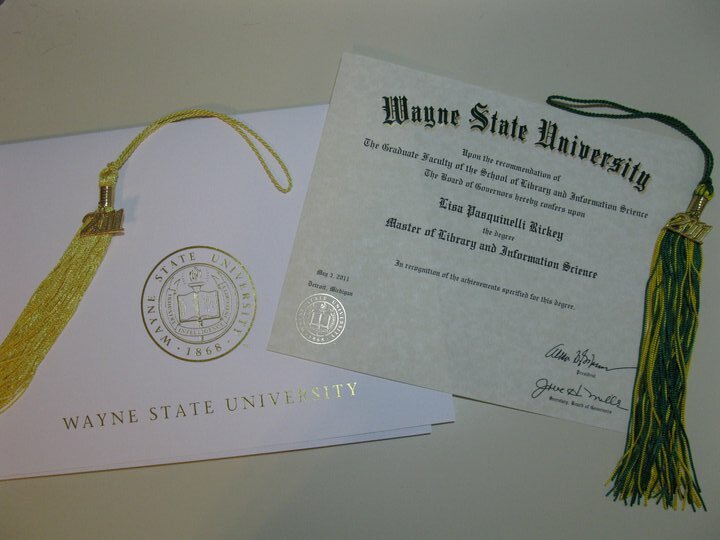 I graduated on May 3, 2011, with a Master of Library & Information Science, obtained through the online degree program at Wayne State University School of Library & Information Science in Detroit, Michigan. I decided to pursue a library science degree because I worked in a public library, as well as because many archivist positions require a library science degree, rather than a history degree (or want/prefer both). 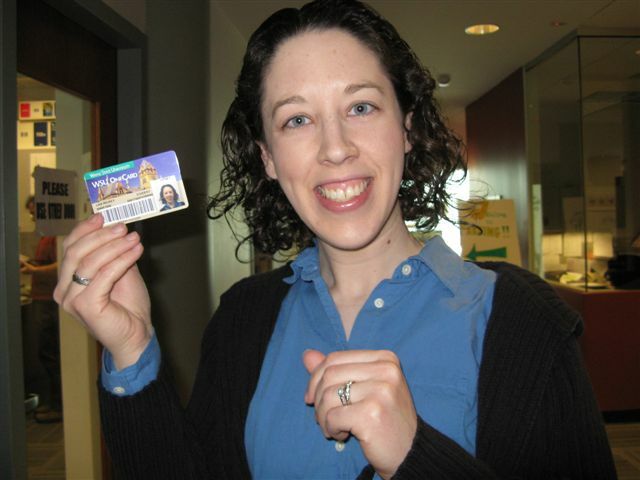 Here I am showing off my newly-minted Wayne State University ID card at orientation in April 2009. My favorite courses were History of Books; Digital Libraries; Indexing; and Scripting (the course for which I began this blog). View Transcript: Wayne State U., 2009-2011.